It’s time for a charter sailing vacation, so what’s the best way to go? You can go it alone with a bareboat, get a captain for a crewed experience or tag along with a group of sailboats in a flotilla. Here’s how each stacks up. 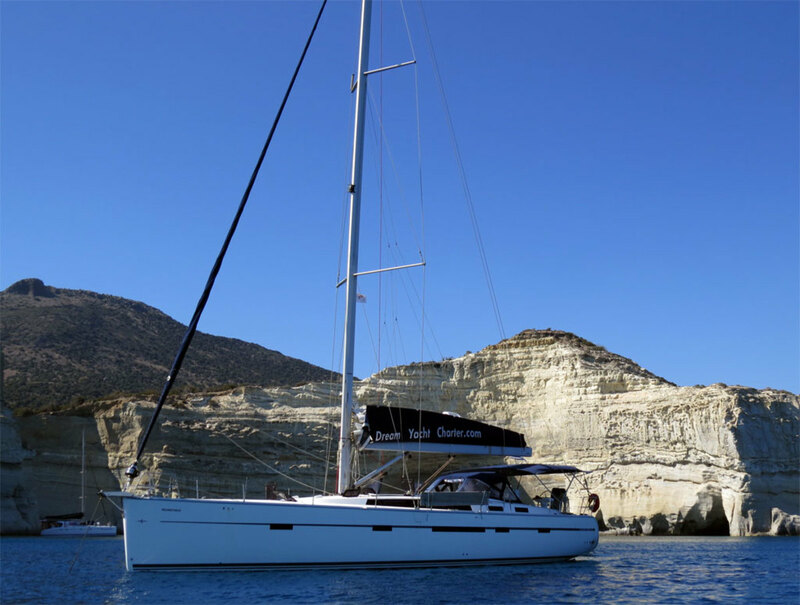 The most common way to get your sailing fix and explore a new destination is to charter a boat that you will provision, navigate, dock and be responsible for on your own. This is called a bareboat charter, because there will be minimal assistance in how you plan and execute your vacation. You will need to find the appropriate vessel, load it with food and drinks, decide on an itinerary, and then sail, anchor and care for it yourself. Bareboat doesn’t mean bare service. Most charter companies will help you select a vessel and will offer partial provisioning, which means they will provide the basics of a few meals (at a price) and deliver them to you prior to departure. They will also provide charts and a briefing on local attractions, hazards, weather and your boat’s equipment. There are several large companies around the world that specialize in this service, like The Moorings (moorings.com), Sunsail (sunsail.com), Dream Yacht Charters (dreamyachtcharter.com) and Footloose (footloosecharters.com) just to name a few. There are also many regional outfits that provide good boats and administrative personnel to help. Online research will help you find which companies offer fleets in which parts of the world. The pluses for bareboat chartering are that you pick your specific location and make all the decisions aboard. You also have the satisfaction of achievement. The challenges include needing to know how to sail, dock and manage a boat, as well as navigating the nuances of a destination, including safety issues, language barriers and cultural differences. If you’d rather leave the driving and the details to someone else, or would like instruction during your vacation, you may wish to find companies that offer crewed charters. On yachts below 60ft, a crew can consist of a captain only, or of a captain and chef/mate. With a captain, you need not worry about knowing how to sail. Captains will manage the boat and usually take you to the most popular destination in your cruising ground. They will know details of what to see, where to eat, where to go diving and what to do if the weather turns. The downside is that your captain is on your vessel with you and therefore is a part of the group at all times. A professional captain also adds to the charter fee, sometimes significantly, and you will not have that feeling of satisfaction that you’ve done it on your own. Flotillas consist of groups of boats that travel together. Flotilla operators will either place you on a boat that you command, or place you on a boat in the group with a captain. The itineraries are usually somewhat set, as are the locations. In other words, if you want to charter in Tahiti or Greece, look for companies that have upcoming trips in those locations. The benefit of flotilla sailing is that you have the opportunity to meet new people, not only on your boat if you sign on as a single crewmember, but on all boats that sail with you. It can also be less expensive, because you can book as a single, making it a good way to visit exotic harbors without having to round up a group of friends to share the costs. Flotilla operators like Zescapes take care of booking the boats, organizing provisioning and providing a captain, who may do any or all of the following: managing the boat and troubleshooting, sailing, anchoring, docking, teaching and being responsible for the safety of the vessel. The downside is that you travel with a fleet. All boats typically anchor in the same location each night, although you may be able to convince your captain to take an excursion for the day. Also, unless you book an entire boat, you will be sharing the vessel with others who you do not know. That can either be great or less than fantastic. Any way you approach it, a charter cruise in an exotic location will be an adventure you will treasure for years to come.